If the number of fitness centers that have sprung up over the past two years is any indication, fitness popularity on Guam is on the rise. 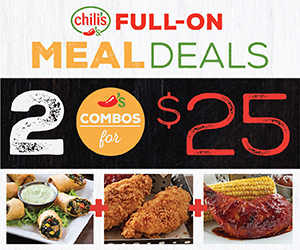 Some offer tried-and-true conventions, some offer new fitness fads, and still others offer a bit of both. Whatever the case, the surge has provided not only a diverse selection of fitness activities, but ample business opportunities for fitness enthusiasts turned entrepreneurs. 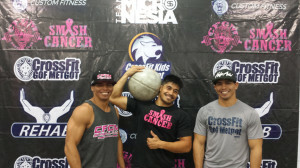 One of the newest waves of wellbeing to wash up on Guam’s shores is the CrossFit craze. 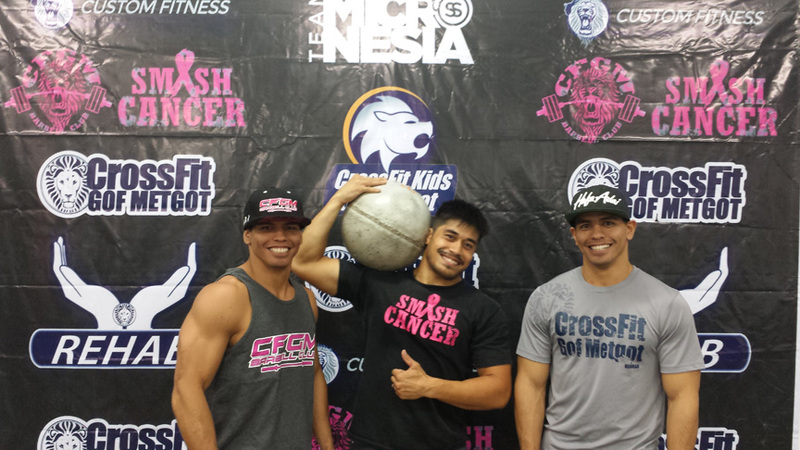 In less than two years, five licensed CrossFit gyms have opened on Guam. Although CrossFit has existed since 2000, Guam — characteristically on “island time” — is only now picking up the pace. 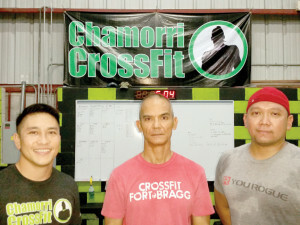 John A. Guerrero, co-owner of ChamorriCrossFit and a certified coach since 2009, says that, like all trends to hit the states, Guam falls behind a little, CrossFit being no exception. “I think the market right now is saturated with CrossFit gyms with a lot of them opening up. It’s kind of like the jiu-jitsu scene. […] I think CrossFit is going that route,” he says. The first CrossFit gym, or “box,” to open for civilians in Guam came ashore from San Diego with Ryan R.M. Claros. At San Diego University, Claros — now co-owner of Custom Fitness, which does business as CrossFitGofMetgot — earned his bachelor’s in kinesiology and his master’s in exercise physiology and went on to earn his doctorate in physical therapy. After more than 10 years stateside developing his breadth of training knowledge, he returned home to Guam to open the gym with his brother, Paul P.M. Claros, and business partners Steven S. Sablan and Samantha B. King Sablan in May 2013. The gym’s owners have also filled a gap in the market as the only licensed CrossFit Kids affiliate on island, and they have also branched out their business to include physical therapy services, personal training, team training, corporate wellness and nutritional advice. Since May 2013, five other gyms have followed suit: CrossFit Latte Stone in July 2013, CrossFitChamorri in March, CrossFit Unified in May and CrossFit Jumpstart last July. 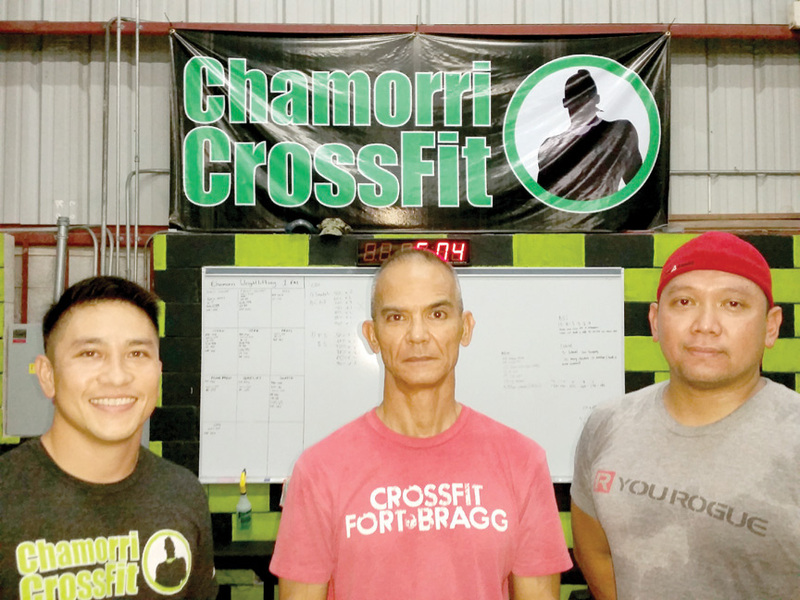 The island’s largest CrossFit gym, ChamorriCrossFit, was birthed from armed service members with a passion for fitness and a love of CrossFit. 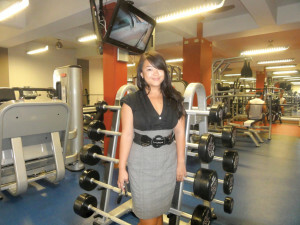 Chamorri stemmed from a non-profit gym that was only accessible to those who served in the military. 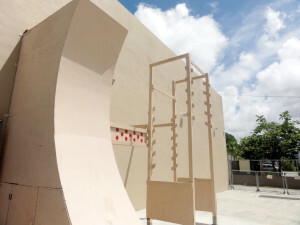 But seeing interest from the outside, the founders decided to open up another facility. In order to be certified and eligible to bear the CrossFit title, gym owners need to file an application and write an essay to the CrossFit program. Additionally, the applicant needs to hold a Level One certificate obtained from attending a two-day seminar conducted by CrossFit. Charfauros and his business partners opted to undergo the process, believing the affiliation would bring legitimacy to their gym. But alongside the CrossFit name comes a controversy: a seemingly endless debate over the safety and effectiveness of CrossFit. Especially over social media, CrossFit naysayers make themselves vocal. Though according to Guerrero, the debate arises when people misconceive CrossFit for what it really is. Regardless of controversy, though, CrossFit still dominates much of the fitness talk on island. The high intensity it offers combined with its diversity of workouts creates an addicting challenge for even society’s most fit. 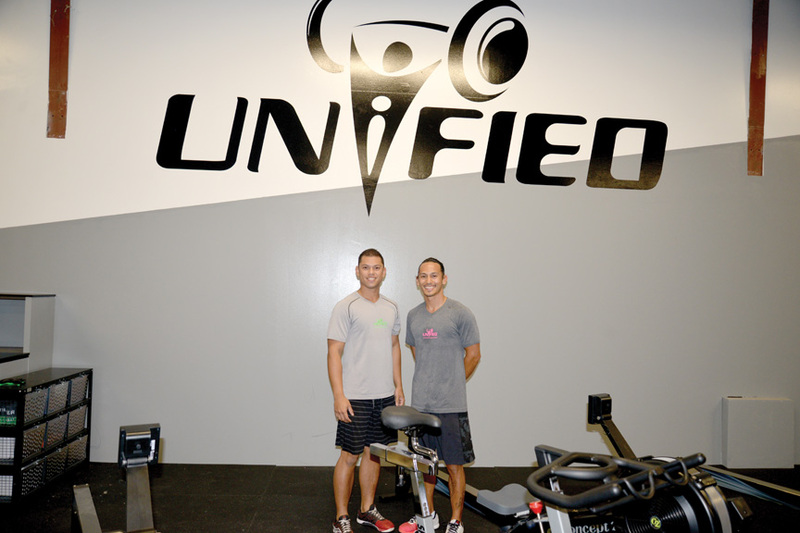 Opened in May, Unified is the newest CrossFit gym to open in Guam, though owner TopherBarretto says there is more to his gym than that. “Although we love CrossFit and we believe in what CrossFit produces, we believe we are all different. We enjoy other types of fitness, which is why we offer our two additional proprietary classes, ‘Burn’ and ‘Release,’” he says. The Burn class is a high-intensity workout that doesn’t require heavy weightlifting, and the Release class focuses on techniques to release lactic acid buildup in the body and to increase mobility and flexibility. 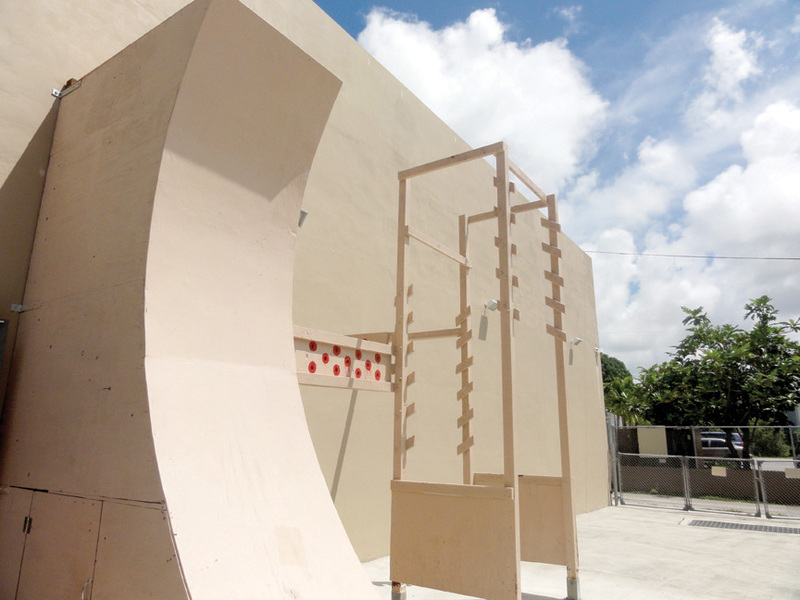 Unified is a product of Barretto’s long-standing desire to start his own business. After working in the fitness industry and realizing Guam had a market he could cater to, Barretto traveled around the globe researching different countries’ fitness ideals so that he could better define what type of gym he wanted to open himself. Thus, the name for his gym was born. “[This] is how the name ‘Unified’ came about — essentially unifying all the different aspects of fitness I believe are helpful and needed,” Barretto says. For those who have already decided against CrossFit, or those who just want a little more convention in the way of gym equipment, the International Sports Center is one option. Owner Joseph Marchal, seventh-degree blackbelt in judo and former Olympian, wanted to bring a luxurious option of fitness to Guam, so he expanded on previously owned space Hagåtña and brought in state-of-the-art equipment, opening the gym’s doors in May 2011. The luxurious aspect includes bamboo floors, ocean views and modern, regularly cleaned equipment. “We have OCD employees, so everything is very clean here,” Susuico says. The fitness complex even offers a juice bar and café in order to provide members with early morning energy or post-workout protein shakes. Open 24 hours Monday through Friday and 6 a.m. to 7 p.m. on Saturday and Sunday, International sees the business of those who work graveyard shifts including many firefighters. International offers many different classes ranging from martial arts to suspension training. Additionally, International has partnered with several insurance companies, some fully covering membership costs and others reimbursing customers for when they come in and work out. iFit is yet another venue to open on Guam this year. 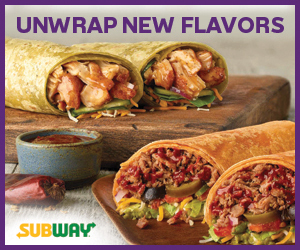 It advertises itself as everything but a gym. She wants iFit to be seen as a community center, a place where people can throw parties and fundraisers. 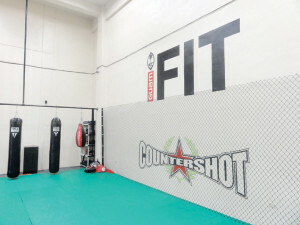 Opened in June, iFit was also created to be a catalyst for athletic growth among Guam’s young people. “We saw a gap in the market as far as programs, like youth programs. I noticed that we come from a small island, but yet we have to send all of our players and all of our students off-island for training,” she says. Being a volleyball standout during her high school years at Academy of Our Lady of Guam, Shivrani is well-acquaintedwith the struggle of progressing in sports with the limited resources on island. Shivrani says that she was able to receive a scholarship to Notre Dame as a result of her making videos of her skills and sending it to prospective schools; iFit will feature programs to help young athletes do the same. “I want to take what I’ve done for myself and implement it here,” she says. Continuing with the emphasis on youth, Shivrani says iFit will also offer an educational program by name of iFit S.T.A.R.S., standing for “Students Together Actively Reaching Success.” The goal of this program, Shivrani says, is to offer alternate ways of learning for athletes. “Besides just the physical side of iFit, we want to make sure we’re promoting education too,” she says. As the island grows to be more dynamic and innovative with its fitness venues, residents can expect to find their fit. And as a growing market, Guam’s fitness scene may even have room for more fitness facilities for those who can fill a certain niche.